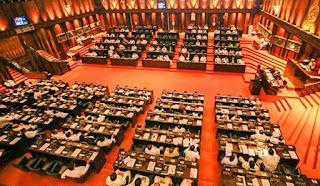 According to deputy speaker Ananda Kumarasiri, parliament is considering opening all its committee meetings to the media. Already, activities of COPE are to be opened to the media. He says the necessary standing orders are under preparation. That follows a request by COPE chairman Sunil Handunnetti to speaker Karu Jayasuriya. COPA chairman Lasantha Alagiyawanne said after assuming duties that their activities too, would be opened to the media.